And with his win on Sunday at the Byron Nelson Classic, we should all be taking a hard look at Jason Dufner, who is having arguably the best year of any player on the PGA Tour. Heck, if a couple of things went his way earlier this year, he is potentially a four or five-time winner on Tour with a Major championship. Remember, he was the 36-hole leader at the Masters, and well into Saturday continued to be in that spot. Dufner has won his first and second PGA Tour event of his career in the last month, and it looks like he is playing the best golf of his career. 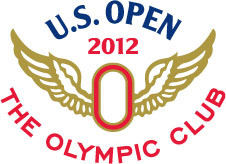 As such, the 2012 U.S Open Betting Odds available at Bovada Sportsbook have put Dunfer into the top-10 in terms of favorites to win the tournament next month at The Olympic Club in San Francisco. And I will be the first to admit how wrong I was about Dufner. Prior to his win at the Zurich Classic, I labeled him as a choke artist, who lacked the edge to close out an event and make the shots down the stretch which win golf tournaments. But as I sit here now, roughly one month before the U.S Open, I wouldn’t be surprised if Dufner is in contention, and maybe grab himself a first Major Championship. It’s Rory McIlroy and Tiger Woods who are atop U.S Open betting odds, but that is not really a surprise. These two will occupy the top two spots in basically every event they enter barring some unforeseen events. McIlroy is at 8/1, while woods comes in at 10/1. Dufner is going off at 40/1, but has steadily risen since his first win, and now even more so with the second win.